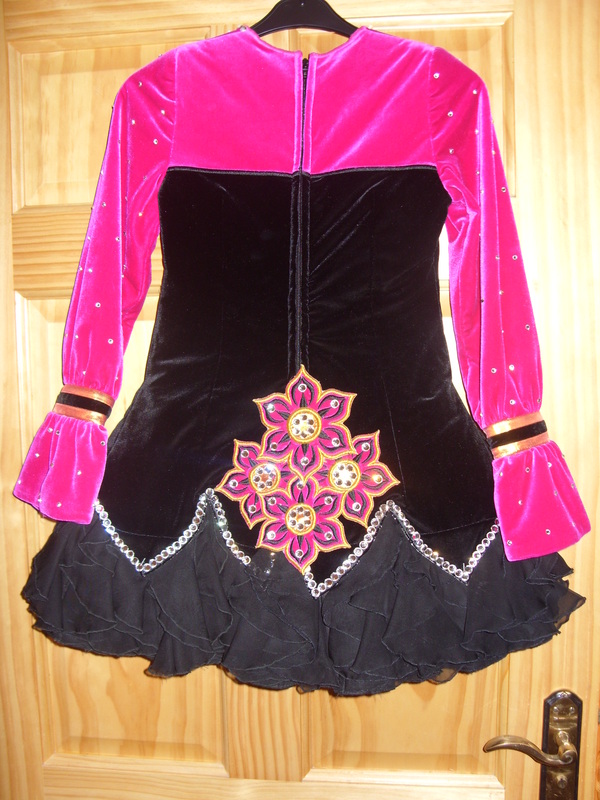 Stunning Black and Pink velvet Siopa Rince dress trimmed with gold lame. 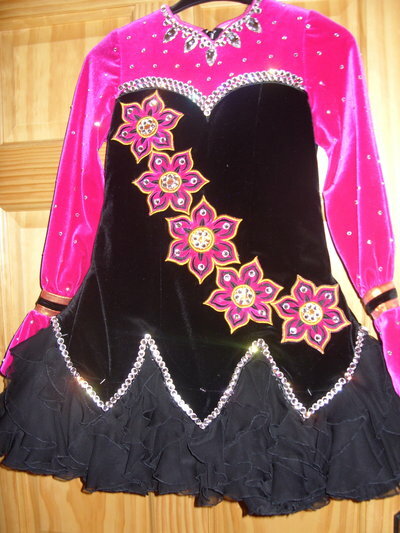 Decorated with large pear drop swarovski crystals and 100’s of round clear swarovski crystals. 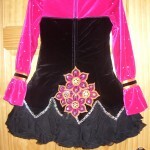 Fairy skirt. Excellent stage Presence. Room for letting down and let out. Asking Price: £800. Shipping costs are included for my own country, overseas shipping is extra. Returns are negotiable.